Ellen Gronemeyer, Liebe Liese (Dear Liese), 2015, oil on canvas, 62 1/2 × 47 1/4". “Keine Minute Ruhe” (Not a Moment’s Rest) was the title of Ellen Gronemeyer’s recent solo exhibition, and it served as an apt description of any encounter with her paintings. 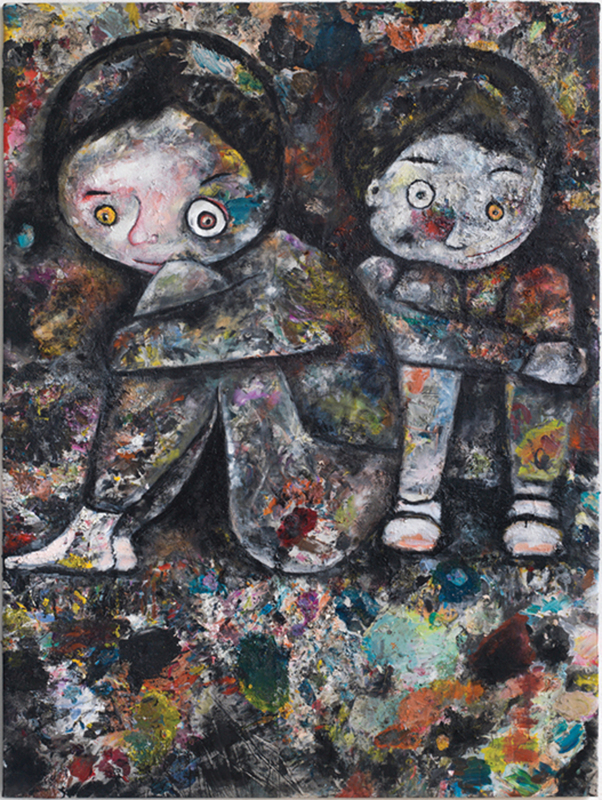 Reminiscent in style of both James Ensor and Jean Dubuffet, the twelve richly encrusted figurative paintings in this show, with a predominantly black palette, possessed a cloying charm.